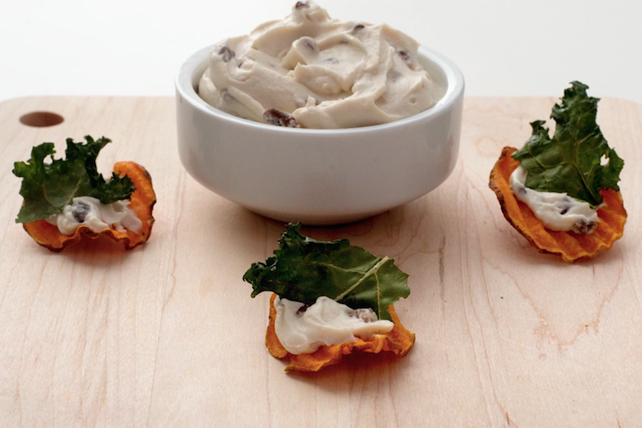 Sweet potato chips and kale chips come together with PHILADELPHIA Cream Cheese in this simple snack for one. Snacking has never tasted so good! Combine cream cheese product and nuts. Double the ingredients to make a quick snack for two.